Hello people of the internet. Unless you’re just logging on for the day, you MAY have heard that Disney dropped a teaser trailer for Frozen 2 this morning. You can watch the trailer here, if you haven’t seen it yet. Go ahead, I’ll wait. And, along with a trailer, always comes a teaser poster. But don’t be fooled by the simplicity of this image! Because there are some interesting details ~hiding~ in plain sight. I legitimately have no idea what they mean, but I have some ~theories~. FYI, you can actually see these symbols floating around in the trailer, too, but it’s WAY more subtle. Lol, they kinda remind me of Sims diamonds, though. Now, my initial thought is that they maybe represent the seasons — Spring, Summer, Fall, and Winter. Although, IDK which one would be which. I mean, there is a new character who seems to live in a very autumnal world in the trailer, after all. Does she have similar powers to Elsa and does this mean there are OTHERS with “summer” and “spring” powers? I know, I know, you’re probably thinking, “Someone has way too much time on their hands!” Whatever. 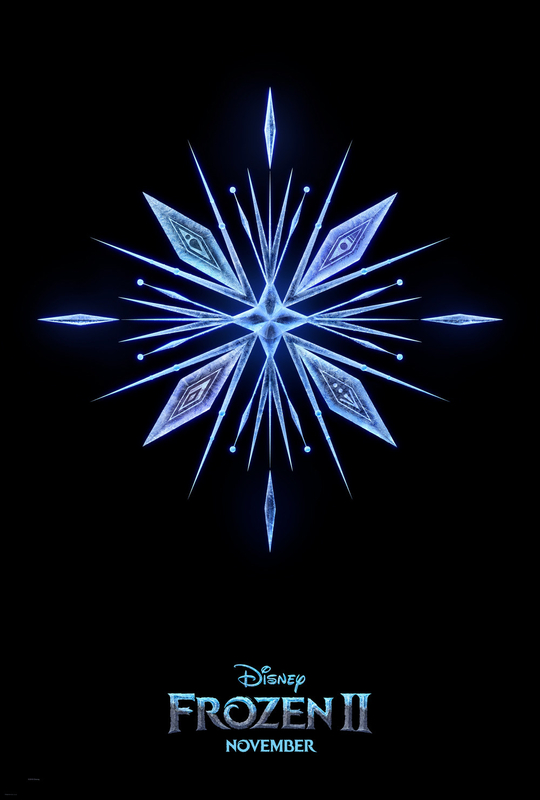 …and then this symbol looks very similar to a pattern on Anna’s dress in the new trailer. Why would Anna have a season-inspired power? She probably wouldn’t, but you NEVER KNOW! The bottom line is, there are some cryptic symbols in the poster and teaser and they DEFINITELY mean something…but we have no idea WHAT (yet). So, it’s time to tie back your hair and dig into a theory wormhole. Tell me your thoughts below! Or you could just chill and wait until November to find out. SHRUG.